Water heating accounts for a quarter of typical household energy use if you use a conventional tank hot water system. It’s worth reviewing your current hot water use and forecasting expected increases (planning a family?) when designing your new home and understanding there are alternatives to conversional systems. You may find a hot water system (HWS) that saves energy and money and is kinder to the environment. The first decision you’ll need to make when choosing a HWS is the heating method: electricity, gas, solar or heat pump? An electrically heated storage tank system is usually relatively cheap to buy and install, but is usually the most expensive to run. Natural gas is a great (common in new estates and land releases). It’s traditionally more economical than electricity and because gas rates don’t vary through the day, gas hot water systems heat water only on demand (this mean you never run out of hot water if you install and instantaneous system). The storage tank usually has an electric or gas booster element to keep the water hot on days with less sunshine (generally an additional cost). Comparatively expensive and time-consuming to install, but a well-chosen system will pay for itself if you intend to own the property for 10+ years and the warranty covers this period. More efficient than an electric storage tank system that works on the same principle as a fridge or air conditioner, by extracting heat from the air and using it to heat the water tank. The compressor on the unit can be noisy, like the outdoor unit of an air conditioner, so you can’t install them too close to a neighboring home, bedrooms or living areas. 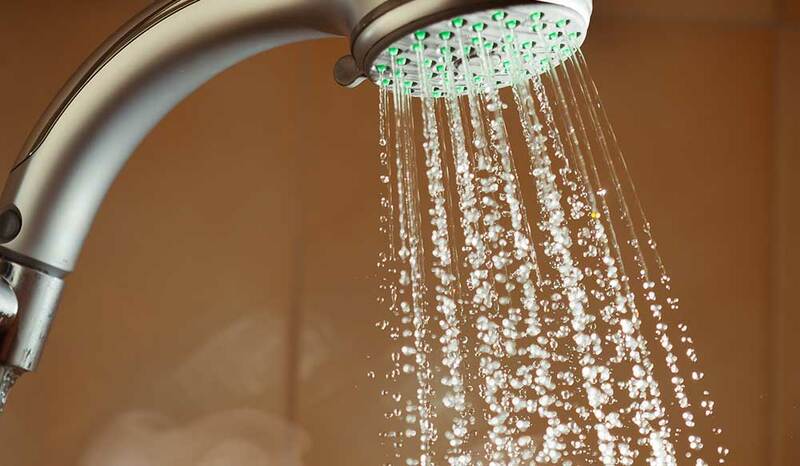 Typically, one person uses about 50L of hot water a day; more if you use your dishwasher often, take very long hot showers, wash clothes in warm or hot water and or you like to take baths. Ensure you ask your builder or land sales representative if Natural Gas is available on your block and or determine sun direction for those willing to make the long term investment in solar. Once you have determined your preferred HWS type you can begin sizing the right system for your home. For example if Natural Gas is available you can easily size a system by visiting a suppliers website such as Rinnai, Bosch, Rheem or Dux (these sites have calculation tools to determine which Natural Gas system best suits your needs). It is important to understand your usage by asking questions such as; do you all shower in the morning or evening? Do you wash clothes in hot or cold water? Dishwasher or hand wash in kitchen? Nightly spa bath? Finally be sure to assess the energy rating (star rating) of any appliance you put into your home. The more stars means the more efficient (6 stars being the highest rating). This is particularly important in the case of a HWS as it is a major appliance in the household and traditionally a large energy user, but one we rarely give thought to unless broken. Insist on seeing the energy rate and understand saving a couple of hundred dollars upfront may end up costing you thousands in extra energy usage over the years.